If you’re looking for a quality concrete contractor, you’ve come to the right place. ART of Concrete prides itself in providing clean quality installations and employs highly skilled installer to ensure consistent quality to our customers. With over 22+ years of experience serving the Twin Cities and Brainerd Lakes Areas we have an awareness of our customers’ expectations. We know that our customers want superior service and excellent workmanship. Whether you are on a small budget or are able to allocate thousands of dollars for a large job, you can count on personalized service each and every time. Art of Concrete can bring an exciting new look to your interior or exterior concrete with a stunning stained application available in an endless choice of color styles. Our stamped concrete is the ideal way to add beauty, style and value to driveways, walks and patios. We offer a wide variety of patterns and colors so the only limitation is your imagination. 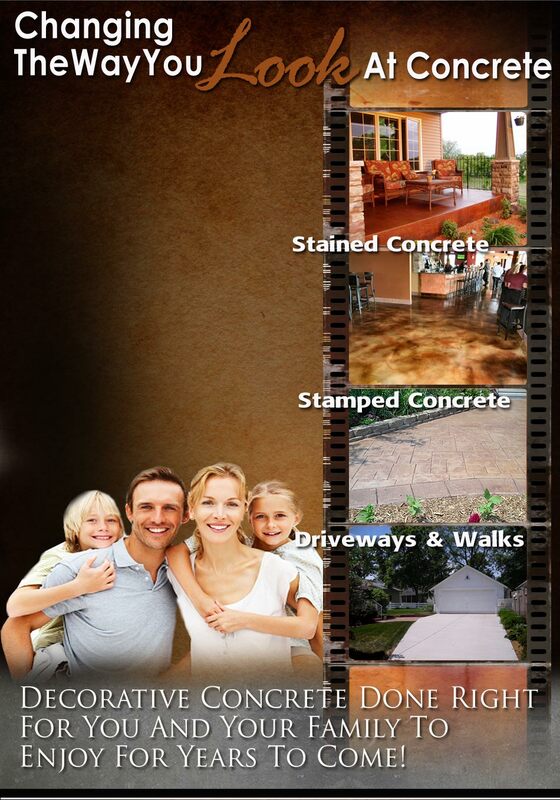 Call us today to learn how Art of Concrete can meet and exceed your expectations with finest in decorative concrete.